Salsa Cycles has announced a recall of all CroMoto SUL 25.4 and 26.0 threadless handlebar stems and all CroMoto SUL 26.0 quill handlebar steams sold individually as aftermarket product after April 1, 2010 through October 2010. In February of 2009, Salsa Cycles also announced a first recall of all CroMoto SUL stems sold as aftermarket parts and on Salsa Ala Carte, El mariachi, Casseroll Triple, Casseroll Single and La Cruz bikes. www.ILBicycleLaw.com covered this recall in a blog post you can find here. Injuries that are due to a part of a bike breaking or not working properly may be the basis for a product liability case against the manufacturer and/or seller of the bicycle or bicycle part. 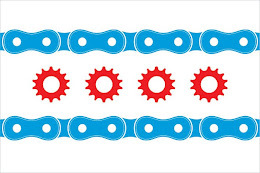 Illinois Bicycle Lawyer Mike Keating is currently handling multiple product liability cases on behalf of bicyclists when parts of their bicycles unexpectedly broke or did not work properly. The most common product liability case stems from an incident where a part "snaps" and the bicyclist loses control and crashes.